All-in-one iTunes video converter to remove FairPlay DRM lock from iTunes movies, TV shows and convert the DRM M4V videos to unprotected M4V, MP4 and other formats without any quality loss by preserving AC3 5.1 audio, subtitles, stereo tacks, AD, etc. so that you can enjoy any iTunes video on all popular media devices. 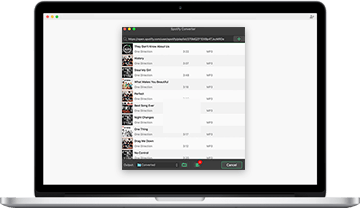 Most sophisticated audio converter meets all your need to convert both DRM protected and non-DRM audio files, making it easiest ever for you to enjoy Apple Music, iTunes songs, and Audible audiobooks anywhere without any restriction. 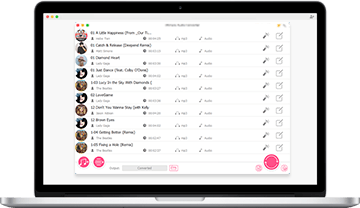 A compelling streaming music converter to download all Spotify songs, albums and playlists to as MP3, AAC, M4A, FLAC losslessly and effectively at up to 5X speed while retaining the original metadata, ID3 tags, etc. without premium account.